A drink burning in a small glass, red peppers and half a lemon on the table. Black background. Close-up shot. 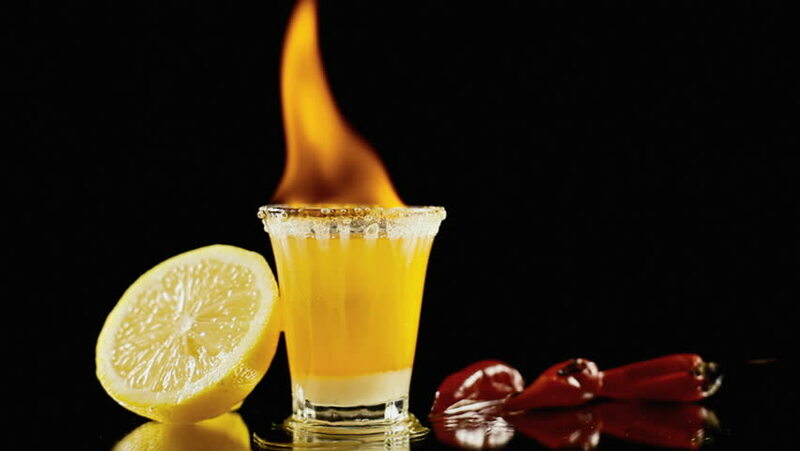 hd00:16Some red hot peppers burning in a glass filled with an alcoholic drink and lemon slices. Black background. hd00:15Tasty smoothies for breakfast with cereal, banana, strawberry, yogurt, maple syrup and almond crumb. Summer smoothie with fresh bright juicy organic fruit rotation on wooden vintage background. hd00:09ready-to-drink alcoholic cocktail at the bar.